without a hand from his mother. for brain and heart. Faggots and mash. with windows to distract him. dry chickpeas on a saucepan lid. of red shoes. He does not click his heels. and trays of fat absorbing Jasmine flowers. because I knew one once. Myrrh. redefine the resins and spice of wood or herb. knocks me for six: Granddad’s greenhouse. We’re putting tadpoles into jars like these. Born in Shropshire, Ben Bransfield now lives in London. 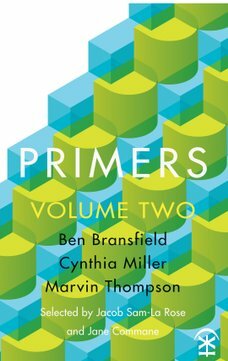 His poems have appeared in various magazines and he is one of three featured poets in Primers Volume Two (Nine Arches Press, 2017). Ben was shortlisted in the 2016/17 Poetry Business International Pamphlet Competition and was named a Teacher Trailblazer by the Poetry Society in 2015. Twitter @bransfield_ben Hear Ben Bransfield read at Drawing Projects UK, Trowbridge, on September 30.